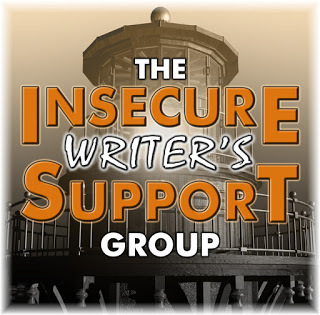 This post was written in response to The Insecure Writers Support Group, which posts every first Wednesday of every month. Today I’m feeling especially insecure and apologetic, as a blogger and as a writer. I can’t believe it’s been almost two months since I last blogged. I definitely need to explain myself. Apart from work and a few personal matters, which cropped up unexpectedly and inconveniently, and I’m not going to bore you with, the rest of my time was taken with re-re-re-editing the third and final novel in The Eyre Hall Trilogy. Everything else had to stop, including my blog (and the A-Z Challenge) and most of my social media interaction, because I just couldn’t cope with everything that was going on, and I’d put my book up for pre-order, thinking I had plenty of time… and I didn’t, as always. I struggled with book one, All Hallows at Eyre Hall, because I was proving to myself (and the unsuspecting world) that I could actually write and publish a novel. In the end I felt and still feel proud of my efforts. On the other hand, I really enjoyed book two, Twelfth Night at Eyre Hall. I had proved I could do it, so I was just enjoying the ride. Lots of romance, action, adventure and suspense. It’s definitely my favourite. Unfortunately with book three, Midsummer at Eyre Hall, the insecurity, struggle and strife has returned… in a big way. Can I do it? Can I finish this trilogy the way it deserves? Can I close all the threads? Do I even need to tie it all up neatly? Where do I stop? I completed my first draft at the beginning of April, and since then I’ve been listening to beta readers’ and editors’ comments and tweaking bits here and there, and adding a chapter, which they convinced me was needed. The whole process has been driving me crazy. Don’t get me wrong, most of the comments were positive and my ‘test’ readers have enjoyed it, but, there are always comments and suggestions for change or improvement, so over the previous months, I’ve been focussed on what needed to be improved, which was a stressful focus. I’m now waiting for the last proofread to be returned to me. Then I have to re-read it once more and make the final decisions before I upload it on kindle next Thursday, the 9th of June. I should be looking forward to it, shouldn’t I? So why aren’t I? I’m more than insecure this time, because I’m downright terrified of not getting it right and spoiling the end and the whole trilogy. How do you feel just before your book launch? Have you written the third part of a trilogy? What was your experience like? I hope it all works out for you next week with the publication of book 3. Your post does make me wonder about the future of my trilogy. I’m currently finishing the edits of book 1 before passing to my first beta reader. Book 2 is written but needs lots of rewrites and book 3 is just bunch of ideas. It’s scary to even think about publishing book 1 when book 3 isn’t even written. I wondered where you’d been. I missed your posts as I always find them fascinating. I hope book three behaves! Thank you.💗 I suppose it can’t get any worse after next Thursday:) Then I’ll be preparing the paperback with createspace which I’d like to publish as close as possible to Midsummer, which is the kindle launch date. Fingers crossed. Man, do I understand what you are experiencing! The third Rhe launches in July and I’m so worried it won’t match up to the other two. I’ve started number four because with all the editing and reworking etc I’d forgotten how much fun it is to write. Have confidence in yourself, Luccia. All will be well – and I’m looking forward to reading the third installment! Mega Happy Birthdays, Luccia. You ARE a good writer, don’t let the doubts creep in! Celebrate with lots of good things!